This is a delicate, fragrant coffee with a smooth and well balanced citrus flavor that boasts a floral finish. It comes from the foot hills of the ancient Non-volcanic slopes of Rwenzori Mountains located between the border of Uganda and DR C, with heights of up to 5109 meters (16,761 ft). The highest Rwenzori peaks are permanently snow capped. Specialty White Mountain green coffee is also available for export. Judging by its enormous base, it is thought that Mt. Elgon was once the tallest mountain in Africa. The coffee shambas extend up and down the cliff faces at altitudes between 1400-26000 meters above sea level, making use of natural water gullies & forest cover to extract moisture from the soil. 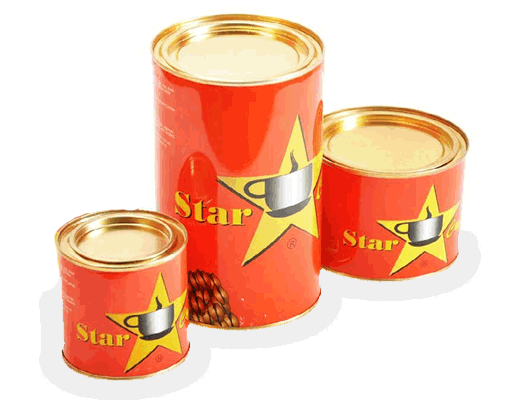 Star Coffee is one of Star Café's best selling brand over the years mainly because it's affordable & produced for the middle class consumer profiles. It is rich in aroma, smooth and full bodied with excellent flavor. 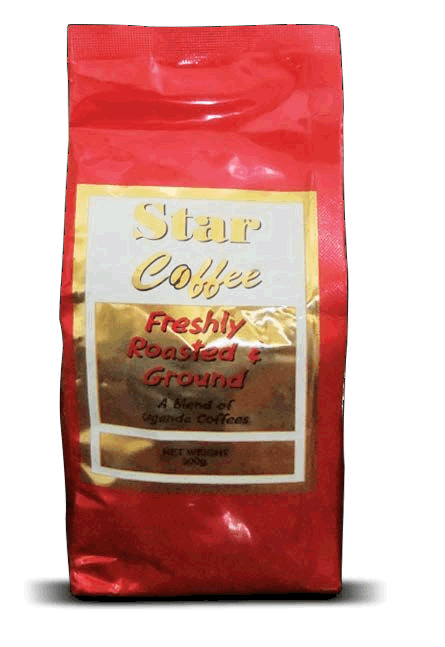 This uniqueness is typical of premium Uganda Arabica coffee grown on the slopes of the Great E.African Rift Valley and blended with carefully selected Uganda Robusta coffee grown around the lake Victoria Basin. Medium Roasted to give the best aromatics and smooth character. This is Instant Coffee in agglomerated form. 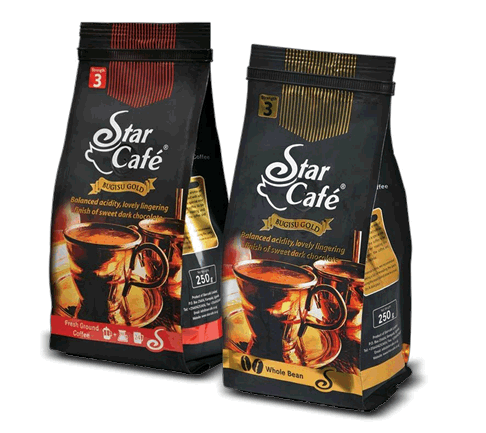 Only Uganda’s finest coffee beans have been roasted and blended to create Star Café Premium. The processing is expertly done to retain the superior taste and rich aroma that can only be Ugandan Coffee. Every sip will transport you to our coffee farms nestled in the Masaba Highlands and the plains of the Victoria Basin where only the best coffee in the region comes from. 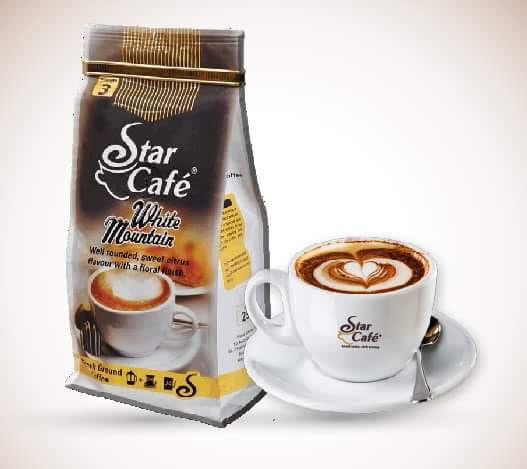 A mild coffee that settles at the back of your throat where the body makes its self known, with strong aroma and sweetness that tempt even non-coffee enthusiast to give it a try. 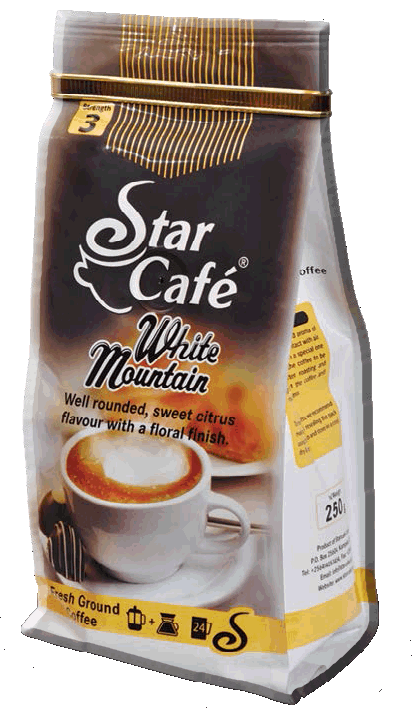 These are a delicate, fragrant coffee beans with a smooth and well balanced citrus flavor that boasts a floral finish. They from the foot hills of the ancient Non-volcanic slopes of Rwenzori Mountains located between the border of Uganda and DR C, with heights of up to 5109 meters (16,761 ft). The highest Rwenzori peaks are permanently snow capped.